Doors open at 7pm. Show begins at 8pm. The youngest of eleven children, Jeffery Broussard was raised in Frilot Cove, Louisiana. His father was a sharecropper and bandleader of Delton Broussard & The Lawtell Playboys, where Jeffery began his music career at just eight years old playing drums for the band. Today, Broussard, a master of more than a half dozen instruments, says of performing: “It makes me happy to see my music make people happy. It reminds me of how things were when I was growing up. 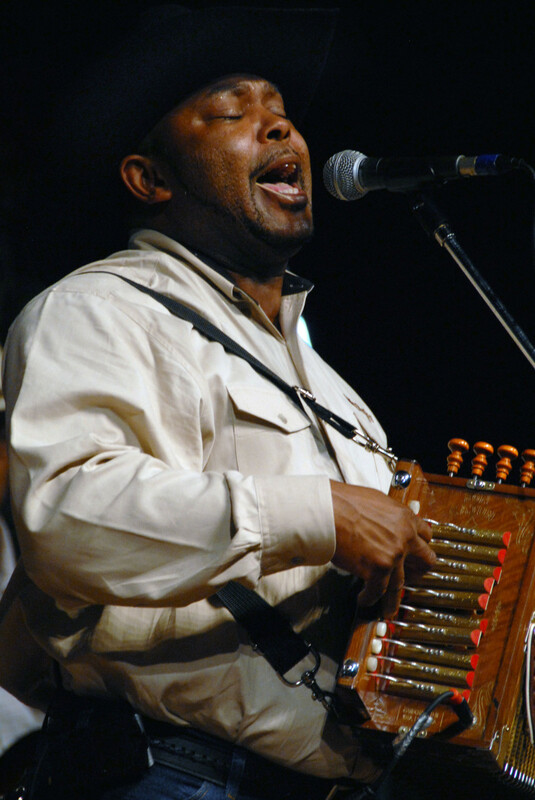 That’s something that a person should never turn their back on.” The band delivers great, pack-the-floor renditions of Creole classics as well as their own brand of contemporary Zydeco. Jeffery Broussard & The Creole Cowboys are taking the next generation‘s perspective of this music and presenting it with contemporary flair and expertise.